During the development of “The Glorious Burden”, the album was originally tracking towards an October, 2003 release date. But then the sudden need to find a replacement for long-time vocalist Matthew Barlow caused that plan to be derailed. Although a replacement was soon found in Tim Owens, and the album was completed more quickly than anyone expected, the whole promotion schedule had to be reset and the album release was pushed back until January, 2004. 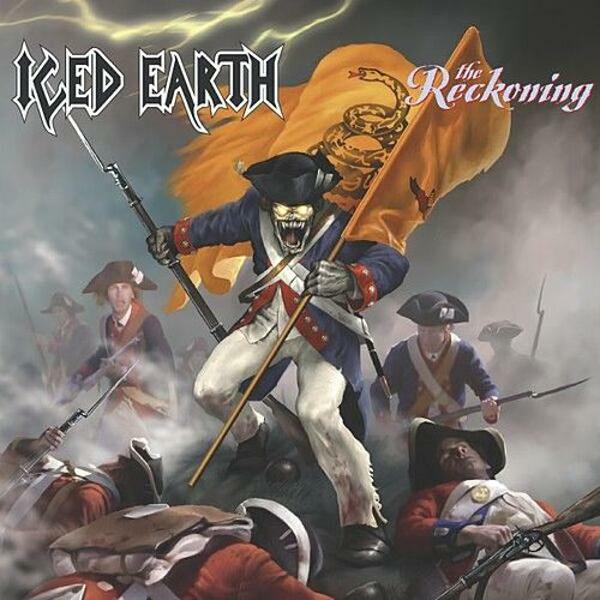 To fill the gap, and to give the fans a taste of Iced Earth with their new singer, the label released “The Reckoning”. Like “The Melancholy E.P.”, it focuses on songs that are more likely to get radio play, and thus contains the three softest songs from the album. The title track was included to let the fans know that Iced Earth as a whole is still as intense as they always were. The unplugged version of “When the Eagle Cries” exists only here and on the Limited Edition of “The Glorious Burden”, but the other three tracks appear in the same form on all versions of the album. Cover art by Leo Hao. Iced Earth logo designed by Jon Schaffer.